Is Protecting Lab Samples from Contamination a Priority for You? 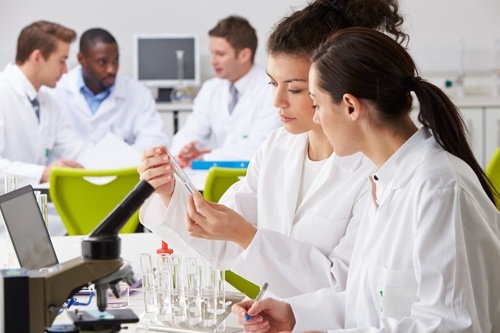 Modern laboratories are hectic environments with personnel sharing equipment across overlapping workstations that may be near busy areas and limited instruments. Contamination most frequently occurs through avoidable procedural errors. Our FEP Duralok™ bags are resealable, inert, and designed to help you overcome some of these challenges. Installing and maintaining heat-sealing equipment is expensive, time-consuming, and resource-intensive. Clamping devices and heat sealers create an extra step in your process, increasing the chances of making an error. Certain samples can be difficult to handle such as liquids when attempting to heat-seal them. Avoiding spillage can be difficult under these circumstances. Electricity sources and compressed air may not be readily available or accessible in the field or in special environments, so having a heat-sealing machine can be a challenge. Resealable FEP Duralok™ bags are the first and only solution on the market that offer convenience, efficiency, and savings in overall costs and resources. Not only does it eliminate the time-delay involved in securing a sample, but the inertness of the bags also maintains the integrity of the sample. The inert and low permeability qualities of the bag keep the inherent properties of the materials intact and allow for a variety of uses in medical, chemical, and industrial environments. Duralok™ technology is ideal for tissue storage. Bones, tendons, and amnions are generally frozen for storage purposes. This tissue must be stored in a dedicated, alarmed freezer/refrigerator and in a container that can withstand a range of extreme cold temperatures. The purity of the sample must be maintained by using storage material that is inert. FEP Duralok™ bags are inert for non-contaminating samples–including acids, approved to the operating temperatures as low as -400°F, and offer the convenience to reseal immediately after the tissue is placed in the bag. American Durafilm® is the first to offer the Duralok™ solution. Contact us to find out how Duralok™ can help solve your critical or caustic sample and storage issues in the lab or field.